A short walk from my camp, was discovered this extremely fat tree. I had never seen anything quite like it before. 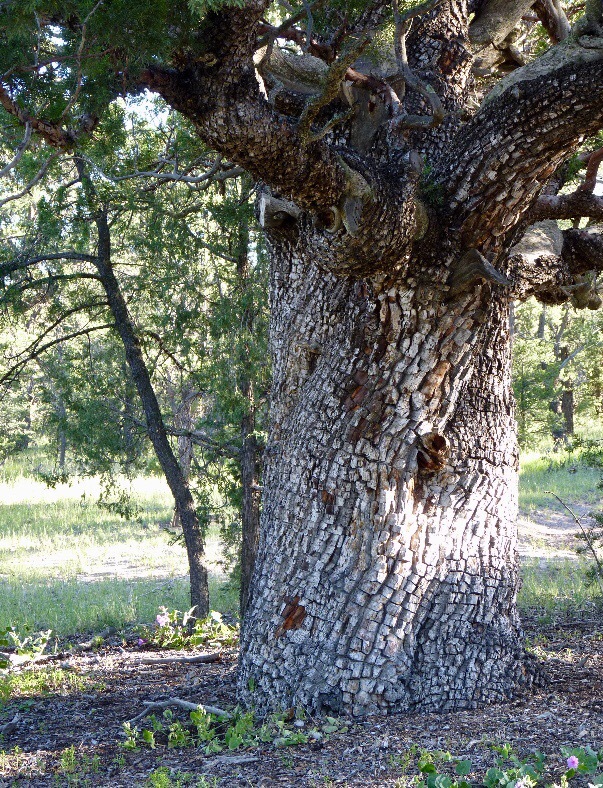 The bark was deeply grooved scales; sometimes called checkerbark. 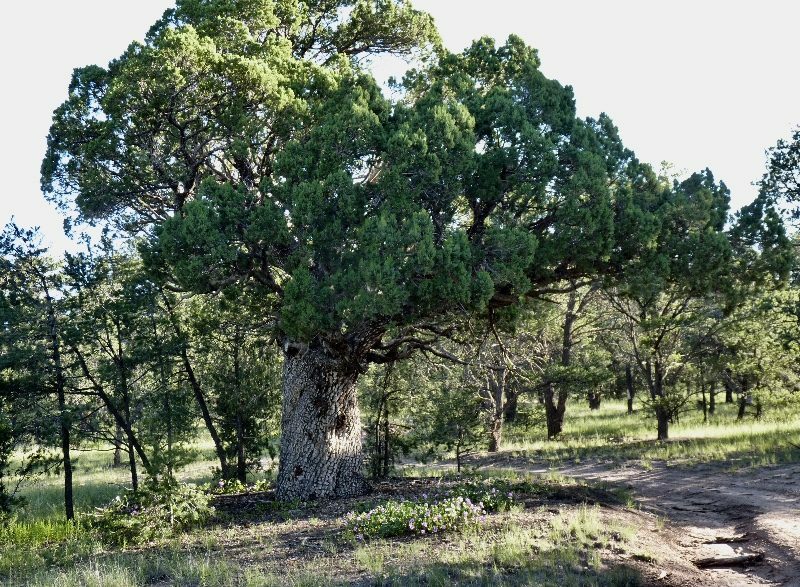 Research showed it is called an Alligator Juniper. It grows only in northern Mexico, western Texas, southeast Arizona, and southern New Mexico. And, mostly at altitudes of about 4,500 to 8,800 ft on dry soil. 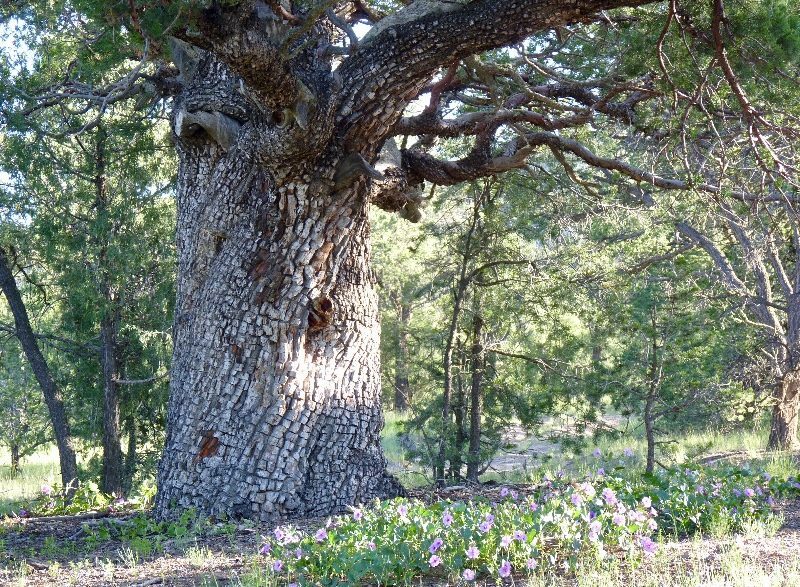 They can grow up to 65ft tall; that’s huge compared to other junipers. Its girth dwarfed that of the surrounding trees. Their berries are eaten by wildlife, and some recommend them for seasoning meats. Natives have used the berries for incense, making tea, and flavoring food. The sap was sometimes used as chewing gum. 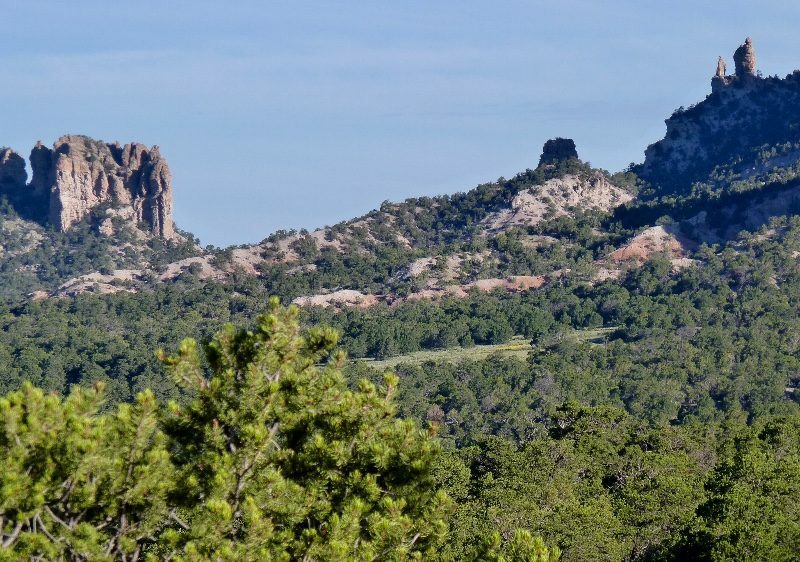 My camping spot was atop a hill at about 8,200ft, so high temperatures were in the 60s and 70s, even at the beginning of September. However, it rained off and on every day, except the last one before I left. Glad I learned about this interesting tree. That is a great find. Yeah, I thought it was pretty neat. That tree trunk makes all the others look like matchsticks! Temps in the 60’s and 70’s are great after the heat this summer. I was surprised at the size of that Juniper tree, and with the low temperatures.